A regular garage door undergoes a lot of wear and tear since the garage is one of the most frequently used spaces in the house. Since the garage door helps in securing your house, plus it makes it easier to access your garage, it is important that you get it fixed as soon as it has a problem. This will save you lots of headaches and inconveniences. A garage door repair Overland Park, KS professional can come to inspect your door and offer their professional recommendation on what to do. They can also fix a wide variety of problems that the door has. It can be dangerous to try and fix the door on your own. 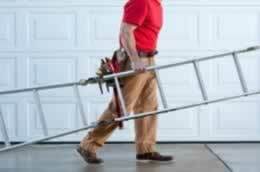 That is why you should hire our Overland Park, KS garage door repair professionals to do the job for you. Our Overland Park, KS garage door repair contractors are extremely skilled and they have performed hundreds of repairs before. They pay attention to detail, so when you hire us you can be sure of getting the job done right the first time round. Expertise - Our garage door repair Overland Park, KS professionals have been trained, certified and tested to service your garage door.